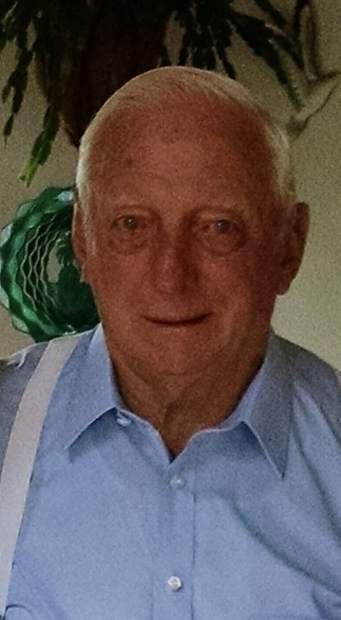 James (Jim) F. Meeker, 86, of Rifle, Colorado, passed away peacefully on January 5, 2019, surrounded by family. Jim was born to John and Frances (Dearborn) Meeker on August 8, 1932, in Albion, Pennsylvania, where he later married Mildred E. Einhiple on September 28, 1957. He spent most of his career working for the Bessemer and Lake Erie Railroad. After they lost their home to the Albion tornado in 1985, they moved to Colorado to start a new chapter in their lives. Jim and Mildred enjoyed working for the Colorado Rockies for 10 years. He loved archery hunting and fishing with his son. He was also a member of the Mountain Sounds Barber Shop Quartet and the Rifle American Legion. Jim and Mildred enjoyed traveling and saw most of the United States, spending many winters in Florida and Arizona. Jim is survived by his wife, Mildred; Son, Kevin (Leslie) Meeker; Daughter Gayle (Don) Pratt; Twin Brother, Jack (Jeanette) Meeker; sister in law, Eloise Meeker; Grandchildren, Sarah (Garrie) Krizman, Jenny Meeker, Travis (Melissa) Pratt, Brandon Pratt and Michelle Pratt; Three Great-Grandchildren; Baylee Krizman, Savannah and Benjamin Pratt. Jim is preceded in death by his parents, John and Frances, and Brother, Bernard. A Memorial Service will be held Saturday, January 12, 2019, at 2:30 p.m. at the Rifle Senior Center. In lieu of flowers donations can be made to Rifle Senior Center or the Colorado State Veterans Community Living Center.